Although Apple is reportedly working hard to finalize the iOS 7 for release towards the end of this year (possibly when they are releasing the next iPhone), the company is also focusing on identifying features that can be included in the next iPhone model and iOS operating system. Today, predicting the next moves of Apple is a bit difficult, particularly when Tim Cook suddenly ousted Scott Forstall and then introduced a Jony Ive-inspired coat across the iOS operating system. However, it’s important to review the current status of the iOS, competition in the current tablet market and what iOS should do to remain relevant in the market. Here are some of the things that people want to see in the iOS 8. Microsoft already offers the option of multiple profiles on the Windows platform. 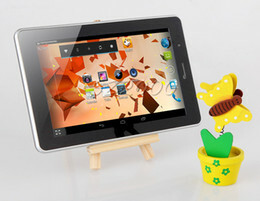 Moreover, most parents would opt for gadgets with child-safe settings. Therefore, it would be logical for Apple to come up with features that can allow change of settings depending on the user who is accessing a given iOS device. For example, if a sports enthusiast picks the family’s iPad, he should be able to access ESPN directly. But if a 2nd grade child picks the iPad, he should have access to only educational content. Although there are a few accessibility settings in the iOS now, they are not up to the required standards. Most smartphone platforms already support live widgets such as Microsoft which has made live widgets the foundation of Windows Phone. However, when it comes to iOS, they are strangely missing. Instead, users are offered a weather icon which shows inaccurate weather. On iOS 6, there is a clock icon which reads 10:15 24/7. I don’t understand why the company has not made any effort towards this. Because if the iOS icon of New York Times can show an image of every day’s front page, then Apple can certainly figure out how to add real information on the home screen. After being blacklisted by Google, Apple has been a bit slow in integrating the technology of other companies into iOS. But it has made a considerable progress in this part by integrating Twitter and Facebook. The iOS 7 will include Microsoft’s Bing and Wikipedia. However, this trend should continue with other companies such as Yahoo, LinkedIn and so on. Apple has always shown interest in being a major player in the social networking field and LinkedIn is one of the best partners that can help it to achieve this goal. When it comes to Yahoo, it is already supplying weather and other related information to iOS and Apple should take advantage of this opportunity to make the ties between them and Yahoo stronger. Apple executives did not talk about their mapping program while unveiling iOS 7. This is obviously strange, considering the apologies made by Tim Cook in response to numerous complaints over the accuracy of Apple Maps. However, I believe Apple will not give up on mapping since maps form an integral part of the smartphone functions and Apple has the necessary resources to manage this kind of experience. For iOS 8, Apple should add support for offline maps, real-time mapping information and indoor mapping services such as the Google one. Google is known to offer superior real-time mapping information; hence Apple should continue to monitor the mapping innovations of Google in a bid to integrate them in iOS 8. Most people want to use non-Apple apps when using maps, email or browser, but this cannot happen now since Apple does not offer a way to hide or change irritating default iOS apps, which can be traced back to the first iPhone. On the same note, there is a weak inter-communication between iOS apps. If a given service takes you to another app, you won’t be returned to the initial app after finishing the action. Therefore, this problem should be addressed in the iOS 8. It should also allow you to use two apps at the same time. The current iOS does not allow you to read a message and set a reminder through voice at the same time. The voice control of the iOS 8 should be intuitive such that it allows you to set an alarm through your voice while you still continue to read or type a message. Alix Ranson is blogger at Mappsolutely. He likes to blog about mobile technology, reviews and updates in smartphone applications.